Matthew Shepard Laid To Rest, 20 Years After His Death Shepard, who was violently attacked and left for dead in Laramie, Wyo., will be interred at the National Cathedral. NPR's Scott Simon talks with Bishop Gene Robinson about Shepard's life and death. 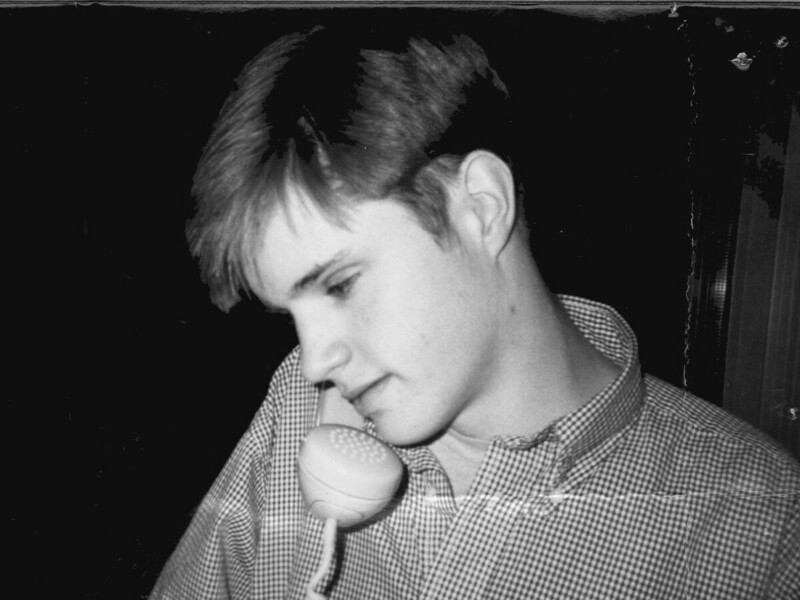 Matthew Shepard was an openly gay student at the University of Wyoming who was brutally attacked in a hate crime at the age of 21. Nearly 20 years after his death, Matthew Shepard will finally be laid to rest at the National Cathedral in Washington, D.C., on Oct. 26. Shepard was 21 years old when he was violently attacked and left for dead in Laramie, Wyo., because he was openly gay. His parents say they're "proud and relieved to have a final resting place for Matthew's ashes." As NPR's Colin Dwyer and Bill Chappell reported, "For the Shepards, the decision to entrust their son's remains to the cathedral ends decades of uncertainty. It was a complicated process, they said, citing both their personal wishes and their son's role as a symbol in the fight for gay rights." When Shepard died from complications due to injuries he sustained during his attack in 1998, his parents Dennis and Judy Shepard did not have plans for a burial plot. Instead, they decided to have him cremated – not wanting to open up the opportunity for vandalism. They have held on to his urn until now. Bishop Gene Robinson who is the first openly gay Episcopal bishop and a family friend of the Shepards played an integral role in helping them secure a final resting place for their son. "Judy Shepard called me and said, 'you know, we're coming up on the 20th anniversary of Matt's death, and we've never buried his ashes,' " Robinson told NPR's Scott Simon on Weekend Edition. "And she said, 'We're thinking it's time.' Someone said perhaps the National Cathedral would be a good and appropriate place." Robinson said the Shepard family's main concern was to find a place where their son's remains would not be desecrated. "And you certainly can't blame them for being protective of their son after what happened to him." Robinson worked with the National Cathedral to ensure the family's wishes were honored. "And I think it will bring a certain sense of safety as well as closure for the Shepards, who really turned this act of violence into an amazing campaign on behalf of gay and lesbian, bisexual and transgender young people everywhere," Robinson said. Matthew's parents, Judy and Dennis Shepard, started the Matthew Shepard Foundation to provide support and resources to LGBT youth as well as to promote local, regional and national outreach to address hate. The foundation also helped lay the groundwork for federal hate crimes legislation that was passed under the Obama administration in 2009. He hopes that Shepard's remains being interred at the National Cathedral will serve as a reminder that the work to end hate is far from finished. "More than 8 out of 10 [LGBTQ] students in our schools here in America report bullying and harassment," Robinson said. "Over 8 out of 10 — that's as of last year. So we're not talking about things that happened only 20 years ago but actually continue to happen." And though the National Cathedral will also hold a memorial service for Shepard, Robinson said he is aware of the condemnation that has traditionally been exhibited by Christian churches and the negative light cast by many on members of the LGBTQIA community. "These three fellows who beat Matthew Shepard to death, they felt OK about that," Robinson said. "They felt justified about that. And for Matthew to come home to the Episcopal Church of which he was a part and for the LGBT community far and wide to see a church welcoming him to rest there in the cathedral forever is a huge statement. And I'm proud to be associated with it." Shepard's remains will be held in the National Cathedral crypt among those of Woodrow Wilson, Hellen Keller, and her teacher Anne Sullivan. Robinson said a burial among the nation's most revered figures is "the perfect place for Matthew." "And thanks to Matt's parents, we've all been moved to action," Robinson said. "And I think, in some ways, our heterosexual allies were radicalized by his death. And so there are very many more people fighting to end violence against us." Sarah Handel and Joanne Levine produced and edited this story for broadcast. Cameron Jenkins adapted it for the Web. Editor's note: This story has been updated to clarify that Bishop Gene Robinson referred to a 2017 GLSEN report citing that 87.3 percent of LGBTQ students surveyed said they experienced harassment or assault.